Jackie, Healthy Witness: Thanksgiving, what to do? Thanksgiving is coming, the turkey is getting fat, are you? I hope not!! It may be the biggest meal of the year, but you don't need to be your biggest!! Be sure to eat in moderation! Pace yourself. It's not a free ticket to go off-the-wagon or Splurge! NO NO NO!!! 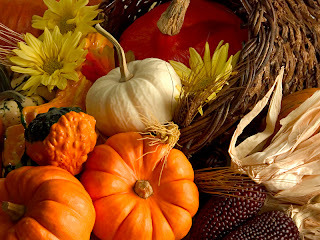 Check out Body Ecology's Thanksgiving Menu and Videos! I post what I post because they have worked for me! I am still losing at least 2 lbs a month and to some that may not sound like much, but it's great for someone who's doing it by EATING RIGHT! Also, It's better than gaining! I am sure I gain and lose throughout the month which is why I ONLY weigh in Once a month to give my body time to adjust to what I eat, hormones, and life! My best to you in all your do to be HEALTHY!